Looking for commercial kitchen equipment? You have found the right place! Just as you would not use a children’s watercolor brush to paint a wall, you cannot run a successful restaurant, catering hall or any commercial kitchen with non-commercial equipment. That is a fact. It is also a fact that while commercial equipment can be very pricey, they are better built, last longer, are fire code approved when appropriate and add to the efficiency of your kitchen. 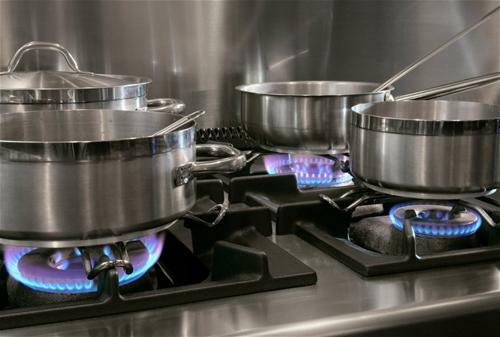 Even a short 25 years ago there were not as many choices as there is today, especially when it comes to stoves, grills, refrigeration equipment, mixers, blenders, ovens, proofing equipment; and the list goes on! We, as the premier bar and restaurant commercial kitchen equipment supplier in the area, are determined to give you access to those choices. 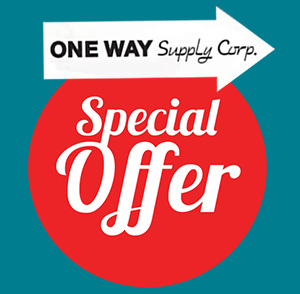 One Way Supply Corp. of Patchogue, Long Island is proud to carry a wide range of commercial products and appliances. We are aligned with the biggest suppliers in the foodservice industry and whatever we do not stock in our 25,000 sq. ft. warehouse, we can order for you. Our website has up to date links to the major suppliers in the foodservice equipment and supply industry which you can check out anytime. Whether you are in the market for a deep fryer or pastry racks, your choices are almost endless. We are here to help you make wise and cost-effective choices. One Way Supply Corp. has a reputation in the industry for providing the highest quality commercial equipment and tabletop products. This allows our customers-bars, restaurants, caterers, and institutions–to feel confident and pleased with their purchases. Come on down to our showroom and begin your association with the best commercial equipment supplier around. We invite you to become one of our most valued and appreciated customers. We know you will be pleased.